The Calico Cat: What is it? At a quilt show, I purchased the "Perfect" fabrics for this project. The are hand dyeds - I got a gradiation of pink for the blossoms and a couple greens for leaves and binding. I decided that the templar and starch method would be best for this project - several of the same shapes used over and over. I was even able to purchase a single sheet of templar. I don't choose that applique method often.... (I later found that I had some at home. Moral: make a list and check it twice before heading off to shop!) I traced and cut out my shapes in templar. 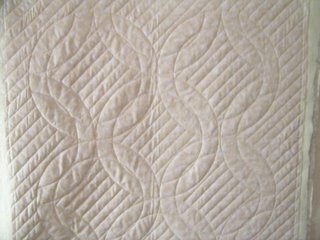 Why you might ask did I get it pre-quilted? My thought is that with my "moving applique" problem, I needed to get my quilt sandwich quilted first so that I could applique in the lines.... Finding someone to take up the challenge was challenging.... To begin with it was exceptionally hard to describe what I wanted & then there is the fact that quilting circles requires a special tool that not all quilters own & then becasue I want to follow a pattern, they needed to be spaced correctly, etc. I persevered, but the project stalled. Now THAT'S a unique way to make sure your applique lines up! Can't wait to see how this comes out. I would have never thought to do that. I hope it works out for you. I agree with Nancy...keep us informed! Hi Amy, I've sent you an email in response to your comment on my blog. Thanks for stopping by! What a neat idea. 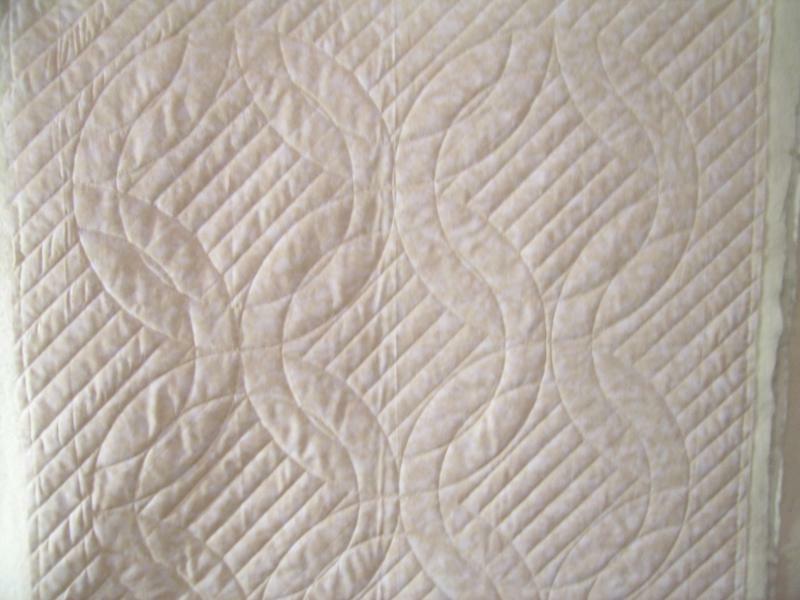 I never would have thunk to do a whole cloth quilt and then "add" the applique. Talk about creative problem solving. I'm looking forward to seeing it as you work away on it. I think that's a great way to do it!